Any tourist in Toronto in 2003 looking for a great place to dance, drink and party on a Saturday night would most certainly be directed by most Torontonians towards clubland. 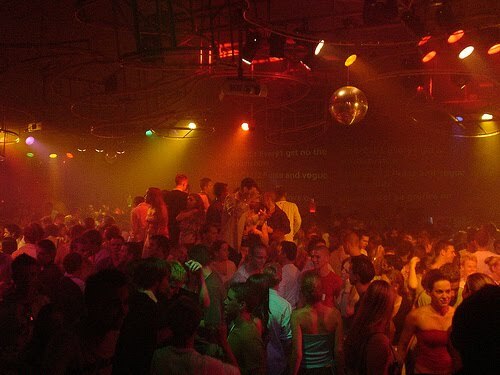 Now in 2010, if you stand at the corner of Adelaide and John on a Saturday night, you’ll find clubland is still bustling, but the number of clubs and party-goers in the area has dropped significantly in the past four years. There are two reasons for this decline. City councillor Adam Vaughan sees this phenomenon as an area re-inventing itself. The Ritz by Graywood Developments Ltd. The second reason for the decline of the former club mecca is that Torontonians are simply finding better places to party in a variety of neighbourhoods outside of the downtown core. The Kensington Market, Parkdale, Queen and Ossington and College St. began offering alternatives to the crowded sidewalks, ubiquitous lines and occasionally intimidating police presence and now these “alternatives” have become the new mainstays of Toronto’s nightlife. Toronto no longer has one clubbing epicentre, but many spread across the city. So while clubland as we know it may be nearing extinction, several others are popping up throughout the city and the eight block stretch between Adelaide and Wellington is becoming a centre for something else… condo development.